Osage County Fire District No. 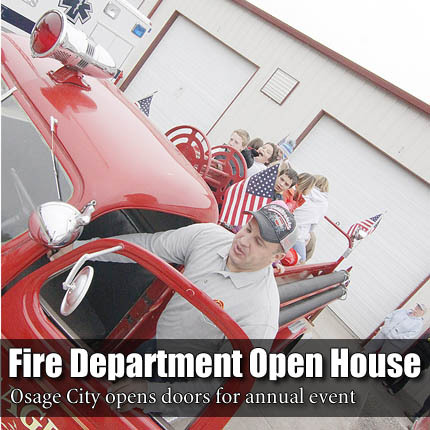 2, Osage City, opened its doors to the community Saturday, offering food, fire truck rides, prizes and more in exchange for the opportunity to better acquaint themselves with the people they serve. Children received fire hats and coloring books in goodie bags, along with a hands-on look and some of the equipment. Osage County EMS and LifeStar Air Ambulance also participated in the open house.